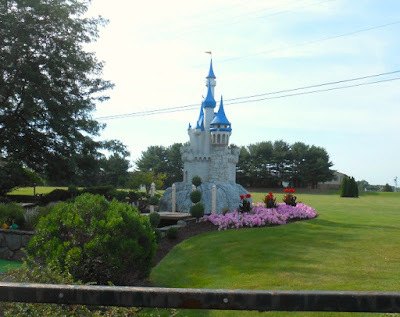 Pennsylvania & Beyond Travel Blog: Adventure Sports in Hershey - Great Family Fun! Adventure Sports in Hershey - Great Family Fun! Are you looking for some family fun while visiting Hershey, Pennsylvania? If so, you need to spend an afternoon at Adventure Sports in Hershey! This wonderful family oriented adventure park includes a challenging miniature golf course that is complete with waterfalls, ponds and water fountains. This park has something for every member if your family to do, from the little kids up to older adults. After you are done playing a round of mini golf you can head on over to the Fast & Furious Go-Kart Track and take a few spins around the track for some friendly racing competition. 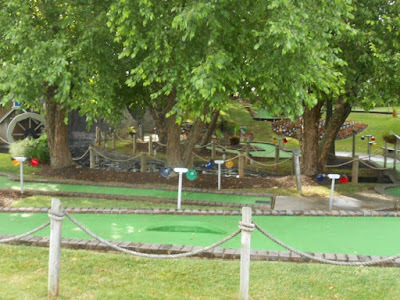 If golfing is your thing...they have a Championship Driving Range so that you can sharpen your golf game. If you are visiting during our hot summer season...you can play around in the Wet-N-Wild Bumper Boats course! You can bump and splash or simply cruise around the course. The bumper boats have built in squirt guns to add to the fun! When my family visits, this is one of their favorite things to do and I have to admit, it is a lot of fun! Adventure Sports also has some professional outdoor baseball & softball batting cages for you to practice your swing! The range is fully lit so you can even practice your swing at night. After you have spent the day playing at Adventure Sports I am sure you have worked up an appetite so head on over to their Ice Cream Parlor for some delicious ice cream and beverages. 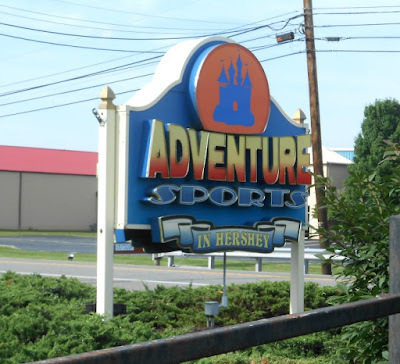 Adventure Sports in Hershey is open daily 10 to 10 Mother's Day through Labor Day and on weekends April, September and October. All hours are weather permitting so check out their web site or call ahead. You'll want to allow a few hours to spend here if you plan on enjoying multiple activities which are all located on their property and within walking distance from one another. After having an afternoon or evening of fun, you can drive into downtown Hershey to find something to eat or a place to stay. While no hotels are adjacent to this adventure park, they are within driving distance for sure. Have some fun while visiting Hershey in Pennsylvania!